Advertisers selling goods online can develop networks of "affiliates" that put up banners or other types of links on their own sites in return for a proportion of the commerce generated. This can lead to a lot of site traffic and sales if handled correctly, but the management tasks are intense. Many online sellers find that affiliate networks generate more traffic and business than do all ads. The most famous example of a successful affiliate program is the Amazon.com Associates Program. Amazon provides graphics and HTML snippets to all affiliates that want to create their own Amazon mini-store on their sites. The affiliates collect 15 percent of any business generated from people visiting Amazon from their site. Amazon provides automated traffic-tracking tools and sends out quarterly checks. Amazon wasn't the first company to start an affiliate program, but it did manage to patent some elements of the automation process. Most companies don't have the resources to develop their own software and tracking mechanisms, so they outsource the management of affiliate programs to one of the many companies that specialize in such things. These companies tend to operate as application service providers (ASPs), which is a fancy way of saying that they serve the ads and HTML and do all the tracking on their own servers so you don't have to worry about any in-house technology issues. This is different from the typical media buy: Usually no money exchanges hands prior to the affiliate coming online. The affiliate site gets paid only when a user displays a desired behavior. The most obvious desired behavior is, of course, the purchase of a product, but affiliates sometimes also get paid based just on having sent viewers to a site. Sometimes an agency's media department isn't even involved in any of these transactions. Since the program is tied directly to an advertiser's sales, the agency is sometimes left out of the affiliate loop. Some agencies do get involved in the affiliate work, sometimes managing the entire program. In the least, they should be made aware of where these brand impressions are occurring -- on which sites and at what comparative media weights. An agency without this information can wind up making poor media-purchasing decisions, such as buying large numbers of impressions on sites already giving a lot of exposure to the advertiser's brand. 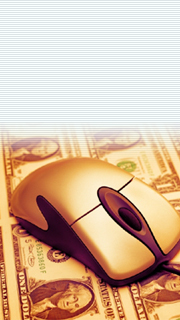 Determine the affiliate program's objective. Decide on the right outsourcing partner. Grow and cull your affiliates. Weed out the fraudulent affiliates. The objective will help determine some of the subsequent decisions. Most times, the objective is a certain sales level. People managing affiliate programs can get caught up in measurements like number of affiliates, site traffic generated, and other types of ancillary metrics. Sometimes, the objective is to acquire new customers in market segments on which the advertiser hasn't yet decided to spend much marketing. And sometimes just generating site traffic is an end to itself, as in the case of certain media sites that operate by selling advertising. Before figuring out any prices or percentages, the advertiser needs to decide what the triggering factor will be for payment. Will it be when a user on an affiliate site clicks on a link to the advertiser? Will it be when that user later makes a purchase? The offer to the affiliate will be a small charge per click if the triggering event is merely a click-through. If the triggering event is a purchase, the affiliate will expect a larger fee or perhaps a percentage of the revenue from the goods sold. People with much affiliate marketing experience know that it doesn't pay to set the offer at the minimum level at which affiliates will decide to join the program. Experienced managers know that the better the offer, the more exposure the affiliate will dedicate to the program. These links at the affiliate site require some care and feeding as time goes on to keep audiences responding to them. The affiliate sites dedicate their time and energies to those affiliate programs that give the better payouts. By experimenting over time, different brands and different product categories have figured out rough levels at which they experience good participation without having to give away too much of the profit. Refer-it.com, among other sites, lists all the current affiliate programs open to sites. This is useful to browse to get a good comparison of what the affiliate competition is doing. Consumer-electronics companies tend to pay closer to 5 percent of transactions. IBM and Dell pay a percentage of the revenue they make on hardware purchases. Generally, the higher the ticket price, and the lower the manufacturer's profit margin, the lower the affiliate offer. Credit card companies offer bounties of more than $20 for honest-to-goodness customers, whereas other financial companies pay much lower sums -- maybe a nickel -- for clicks over to their site. Online services, because they have a low, fixed cost of goods sold, tend to pay high percentages. Dating services, career services, and subscription services pay fees as high as $50 or percentages in the 20s. In the book category, Amazon has the top offer among affiliate programs, giving 15 percent of any subsequent transactions. Barnes & Noble gives 7 percent. But some argue that that's equal to Amazon's because the Amazon site is designed to steal users away from affiliates once they cross over, thus preventing affiliates from receiving as many repeat transactions as they otherwise would have. The Barnes & Noble site is designed without the same capability -- that is, getting users to come directly to their own special pages, thereby thwarting the affiliate. Sites in the movie, music, and textbook categories give offers ranging from 3 to 8 percent, or sometimes flat fees of around $5 for each new customer. These are the types of offers against which an advertiser's affiliate marketing program must compete. Another tool to remember in searching for the affiliates of various companies is the AltaVista reverse search. At the AltaVista.com site, type "link:[Websitenamehere.com]" in the text box, replacing the generic Web site with the company you desire to query. AltaVista will return to you a list of sites that link to the site you typed in.